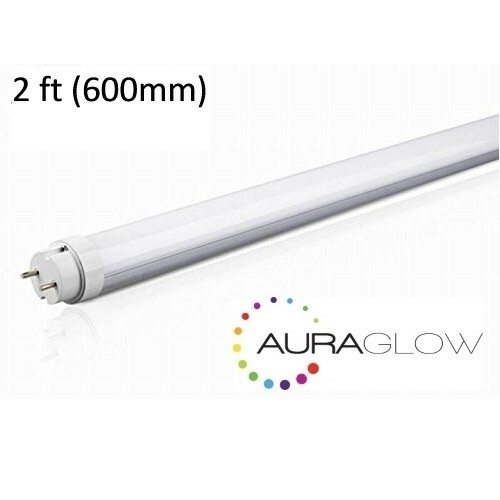 This Auraglow 2ft T8 LED tube light replaces a standard florescent tube delivering more lumens per watt, have less heat radiation, contain no mercury and are flicker free. 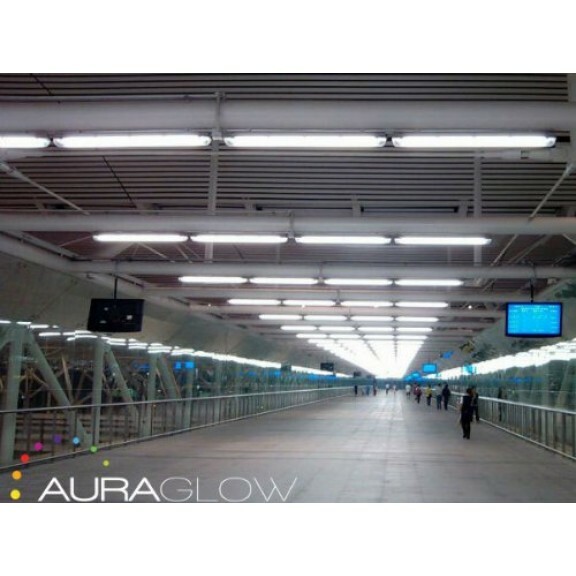 Consuming only 9w it produces a saving of up to 57% in energy costs compared to fluorescents. Standard florescent bulbs have a life time of about 2 years - Auraglow LED tubes last an average 18 years so not only will you save on energy bills but also on maintenance and disposal costs. Also, because they produce very little heat the costs to run office air conditioning in the summer months will also reduce. Consisting of 168 high output LED's it produces a daylight white light that is ideal for office environments as it makes illuminated objects appear crisper. 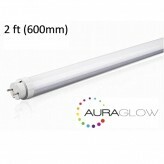 Designed to replace conventional T8 Fluorescent tubes and can be replaced directly into any fluorescent fitting. 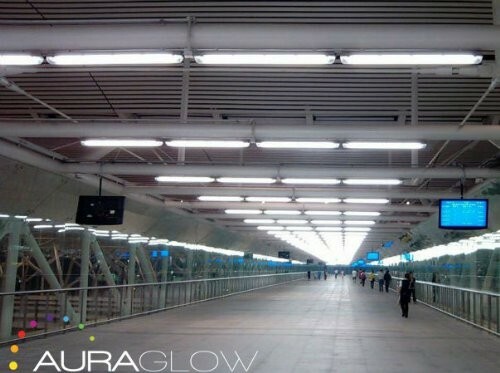 Simply install the LED tube light and then swap the starter over with the included Auraglow LED starter to complete the circuit. Avoid LED tube lights that are designed to have the starter removed completely as these stay live on one side which can be dangerous and do not pass CE regulations. 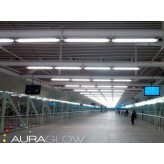 Auraglow are so confident in these tube lights they issue them with a 5 year warranty!